Here are some photographs that I’d like to include on the site, which will hopefully elaborate some of the references made elsewhere. Let’s begin with ghosts. During my time at the Ghost Club in the 1960s, I was privileged to be involved in a number of nocturnal vigils in houses where incidents had taken place that were unaccounted for and which implied some form of psychic activity. The most high profile of these took place at the Queen’s House at the Maritime Museum, Greenwich. 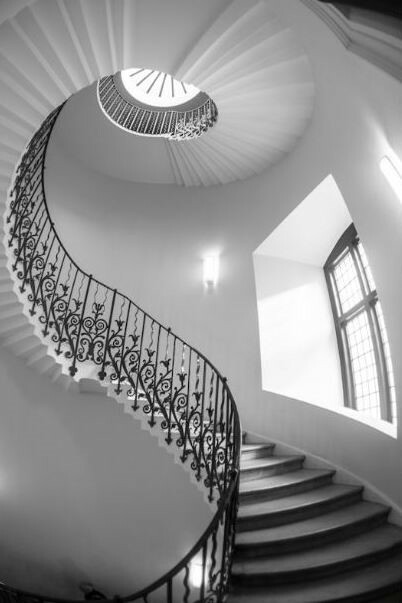 The Rev Hardy, from Canada, cousin to one of the Ghost Club members, Mr Hector McQueen, had visited the Queen’s House while on holiday in London and taken a photograph of the Tulip Staircase. He recalled that there had been a rope barrier at the foot of the staircase denying access to visitors and that no one was on the staircase when the photograph was taken. Nevertheless, back in Canada when the film was processed, two distinct figures could be seen climbing the spiral stairs. The clearer of the two wears what could be a monk’s cowl and appears to be following, or pursuing, a more shadowy figure a couple of steps higher up. 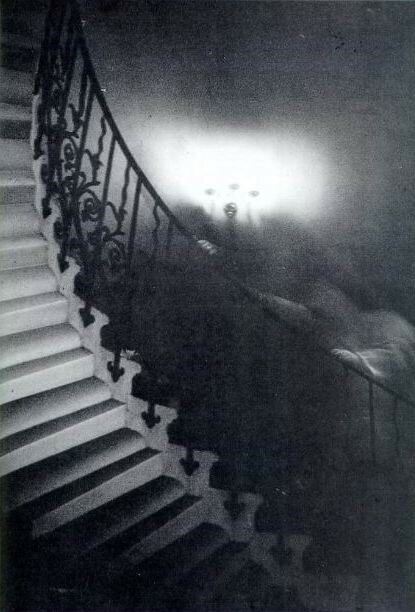 Both figures have their left hands on the curving banister rail and, on close inspection, a ring can be distinctly seen on one finger of the shadowy figure being pursued. While the robe and monk’s cowl [if that’s what it is] can be clearly seen on the pursuer, the head and shoulders of the pursued are apparent only because they cut into the light coming from a modern, fixed electric candelabra on the wall behind. Rev Hardy sent the pictures to Mr McQueen who brought the matter to the attention of the Ghost Club President, Peter Underwood, as a result of which an all-night vigil was arranged. Meanwhile, the photographs were sent to Kodak for detailed examination and a report was returned saying that there was no evidence of tampering with the film in any way. 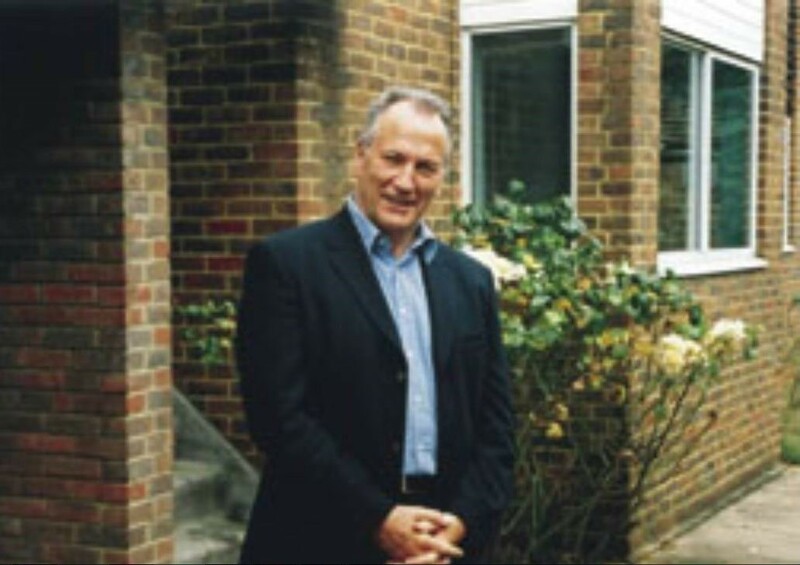 [For a full account of the Greenwich investigation, I would refer you to Peter Underwood’s book, A Host of Hauntings, published in 1973 by Leslie Frewin.] 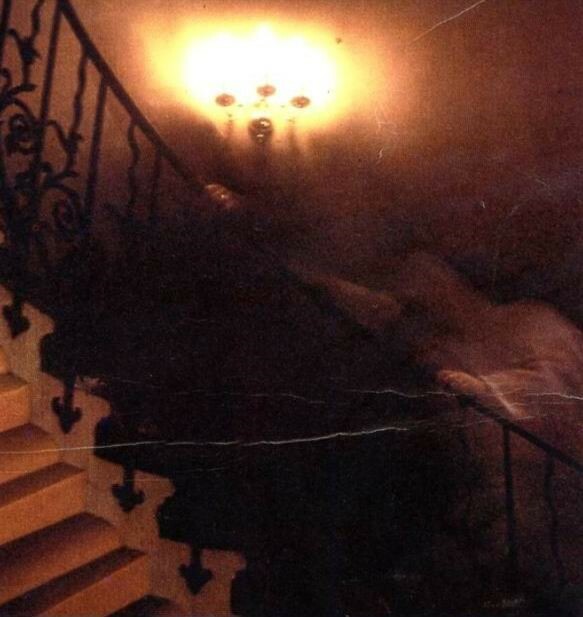 The photograph itself has never been explained and is certainly one of the best ~ if not the best ~ and most baffling photograph of a ghost, as you can see here in black and white and then in colour. Some people looking at this photograph have been confused by the lower left-hand side of the picture, which is, of course, the underside of the spiral staircase, while the two figures are on the stairs on the other side of the banister rail. Here is a detail of the picture in colour. Unfortunately, the photograph has been creased but it is possible to see clearly the ring on the finger of the figure being pursued. Here is a photograph of the Tulip Staircase seen clearly in daylight from a similar point of view. 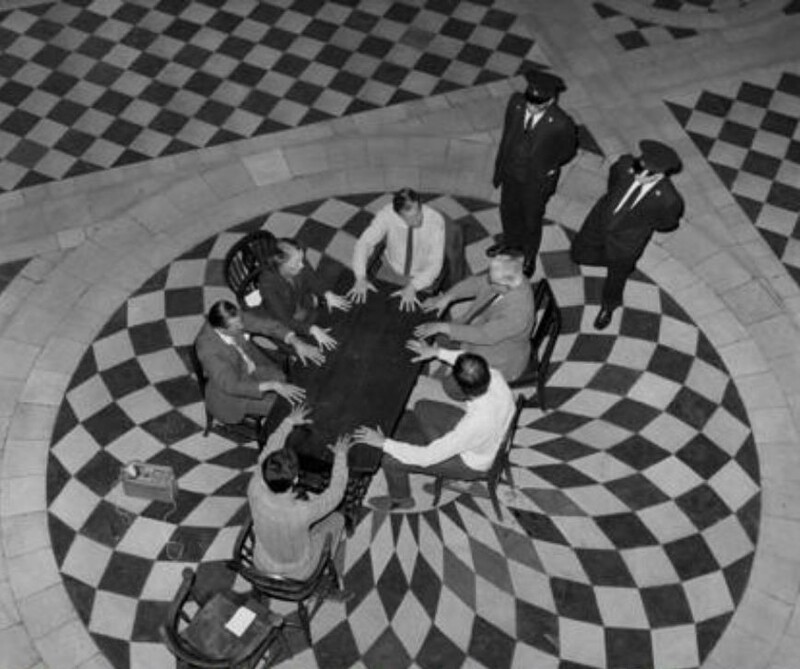 And here is a photograph of a séance held at night by members of The Ghost Club at the Queen’s House on 24th June 1967, overseen by two security officers. Clockwise from the left hand side are Hector McQueen, Margery McQueen, Peter Underwood, Peter Hilton-Rowe, myself, and the sound engineer, Stephen Warwick. 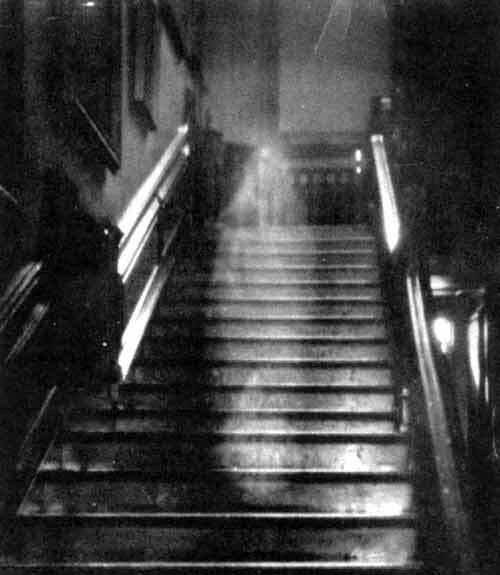 Prior to the revelation of the Greenwich ghost picture, the most famous photograph of what might be a ghost, was probably the one taken at Raynham Hall in the 1930s and known as The Brown Lady. [I refer you to Wikipedia for the full story.] Here is the picture. As described in the second part of my book, Strange Tales in Fiction and Fact, in the 1960s, a group of us would sometimes visit the home of one of our Ghost Club members, Dr Peter Hilton-Rowe, who lived near Dedham in Essex. Peter had had many odd and disturbing psychic experiences in the house where he lived alone but had, over time, become used to them. 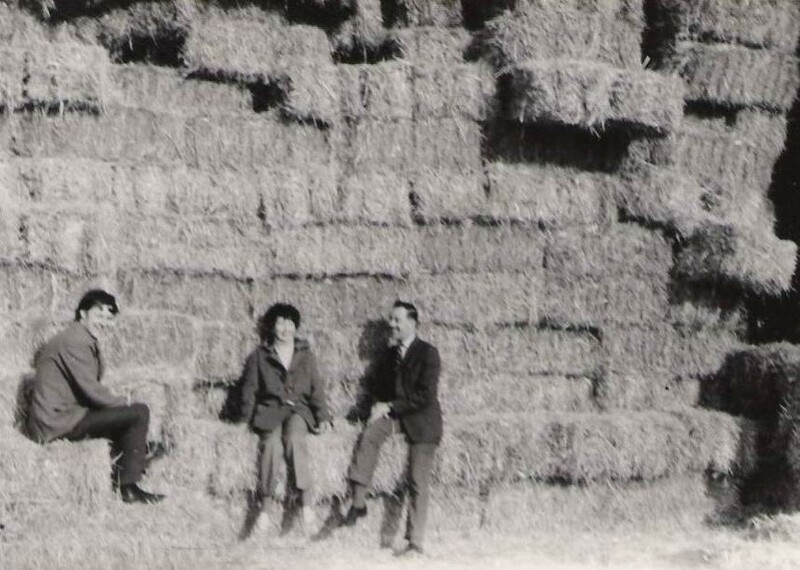 Here is a rather blurred photograph of myself [on the left] with Peter Underwood and his wife, Joyce, on one of those visits. Here are a few more personal photographs to add some detail to my Profile page. 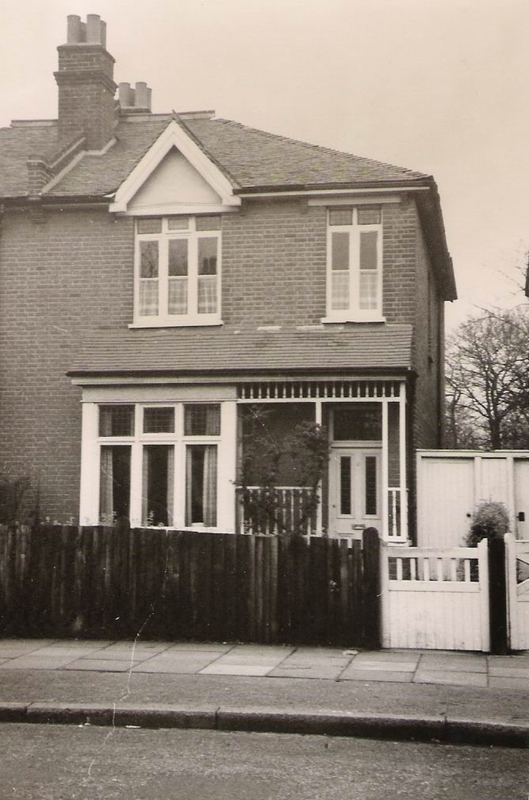 First is the very ordinary late Victorian, semi-detached house in Twickenham where I grew up and where we experienced a number of strange occurrences, including footsteps that centred around one particular room, and the sounds of a ghostly dog scratching at a door. A remarkable coincidence occurred while I was still living at home with my parents. I happened to listen to a programme on the radio about ‘headless psychic phenomena’, during which reference was made to The Ghost Club. Intrigued, I searched the London telephone directory to find their number and when that failed, I wrote to the BBC asking for the relevant information. Their reply, referring me to a Mr Peter Underwood, gave his address, which was the house directly opposite to where we lived! It was just one of many significant coincidences that have been scattered throughout my life. 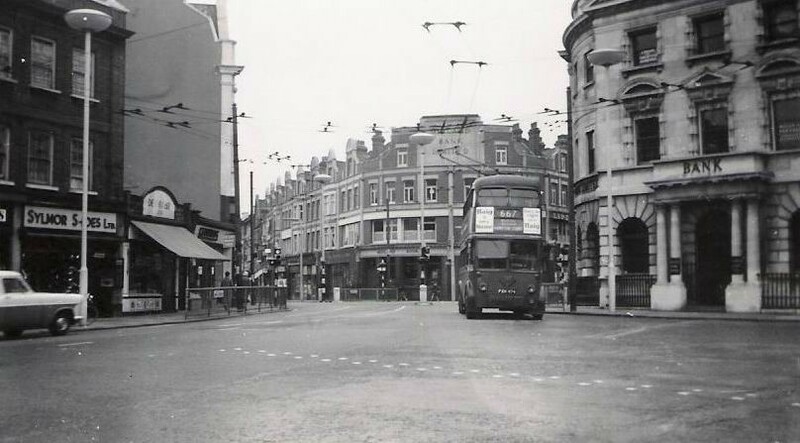 Here are two photographs of Twickenham as I knew it in the 1950s and 1960s. 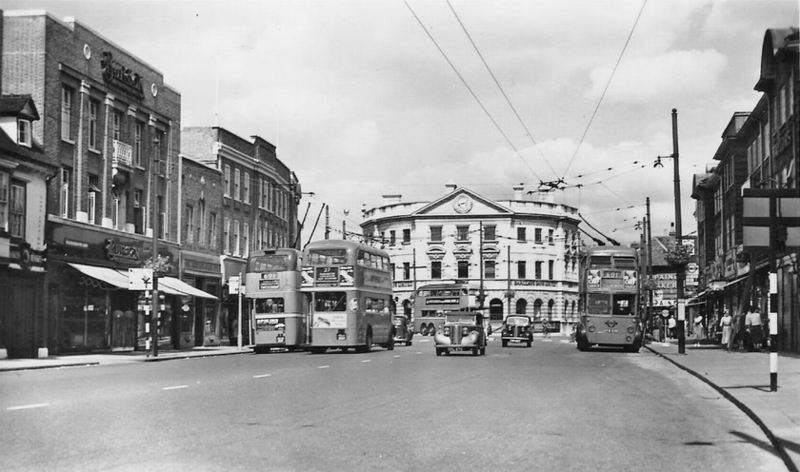 I thought the trolley buses were wonderful but in May 1962 they were discontinued. Here’s a picture I took on their last day. Notice how empty the streets are. In 1961, I first saw Jack Clayton’s superb film, The Innocents, based on Henry James’ novella, The Turn of the Screw. Twickenham had three cinemas then, the Odeon, the Gaumont and the Regal. The Innocents was showing at the Odeon and I went more than once in that week to see what has remained my favourite film. 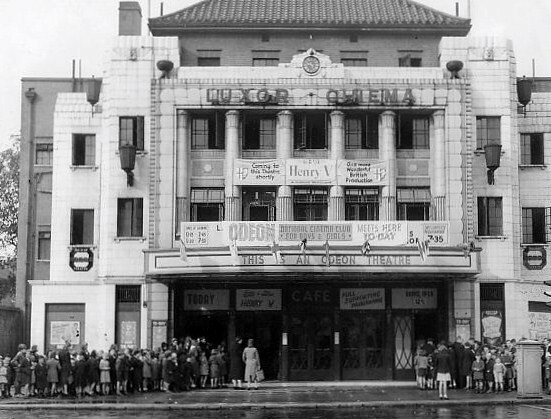 Here’s the only picture I could find of the Odeon cinema at Twickenham, which used to be called the Luxor because the theme for it’s interior decor was ancient Egypt. 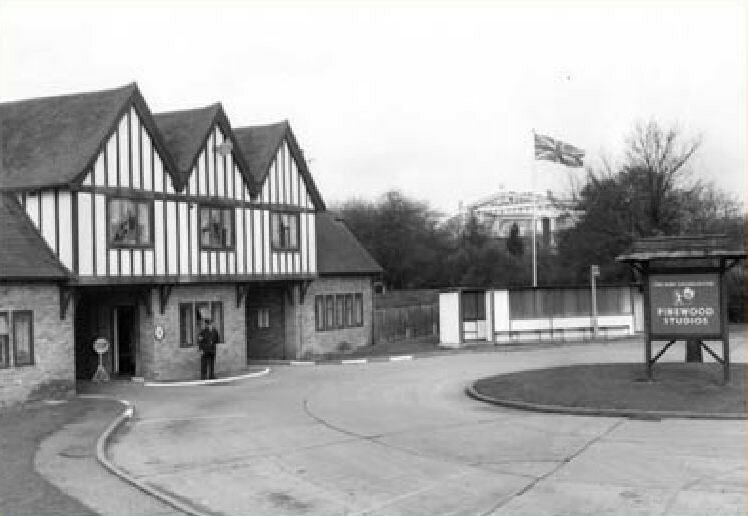 I was very lucky to find my way into the film industry and to land a job at Pinewood Studios, at Iver Heath in Buckinghamshire, within a year of leaving school. As there was no union member available to fill the vacancy, I was given the job. 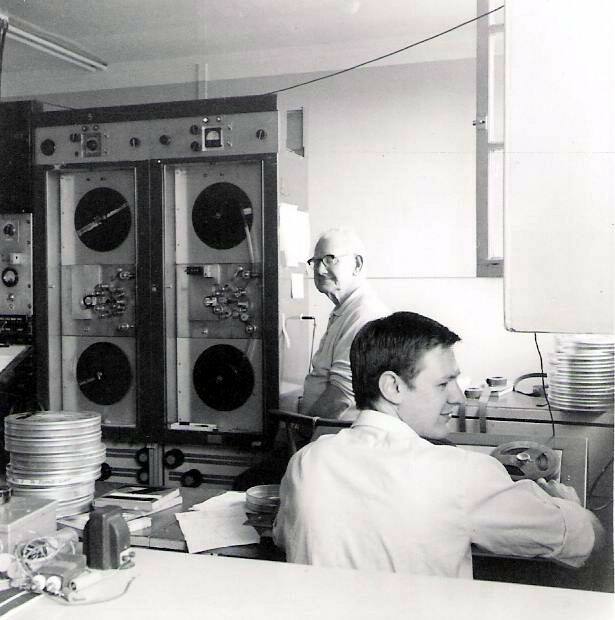 I have enormously fond memories of my Pinewood days in the 1960s, so here are a few pictures. 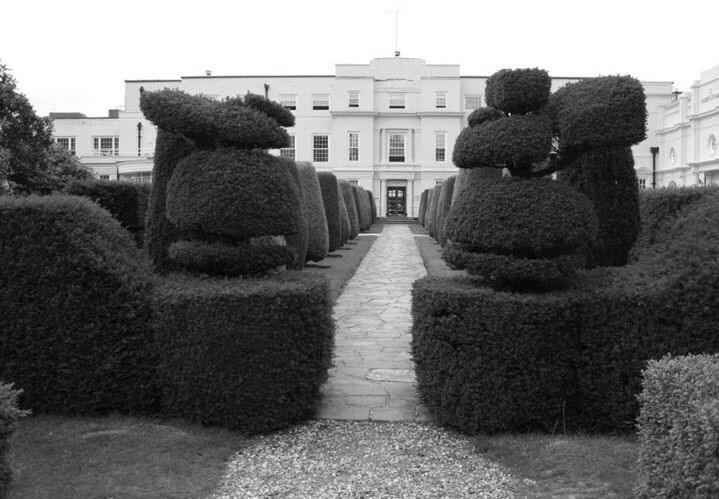 This is the garden behind the rather grand building which was the administration block. The squared annexe on the right was the restaurant where all the stars dined, somewhat different to the canteen and cafeteria that we used. At Pinewood I was put in charge of the sound transcription department where the first job each morning was to transfer all the sound recorded by each production the previous day for the sound editor to sync with the picture so that the previous day’s shooting (known as rushes) could be viewed by the cast and crew. 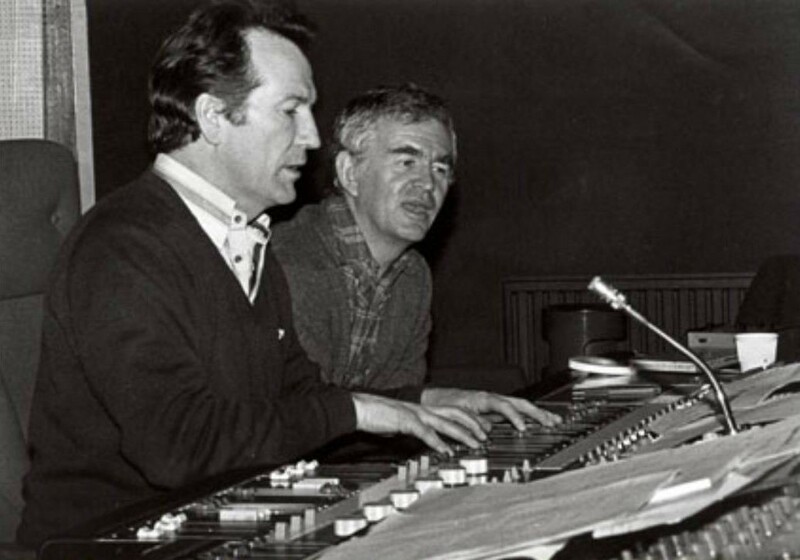 I then moved to Twickenham Film Studios for two years and worked alongside one of the industry’s most respected dubbing mixers, Gerry Humphreys, who, despite the extremely high regard in which he was held by so many directors, was always approachable, patient and charming. 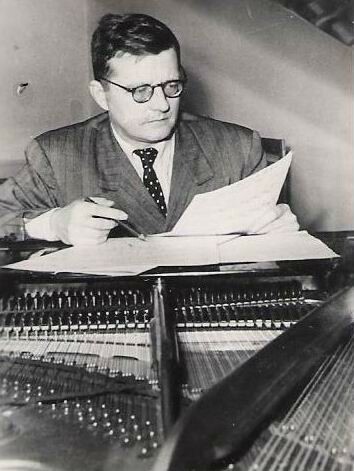 Symphonic music was my constant companion from the age of 11 and my boyhood hero was Dmitri Shostakovich. I remember the excitement I felt when I read in my grandfather’s copy of The Daily Telegraph that Shostakovich had written a new symphony. It’s hard to imagine a news item like that appearing today! This picture hung on my wall from the age of 16. Shostakovich’s music made a profound impact on me in my youth. I could relate to its drive, its moodiness and its ultimate power. I suppose it was my version of heavy metal! 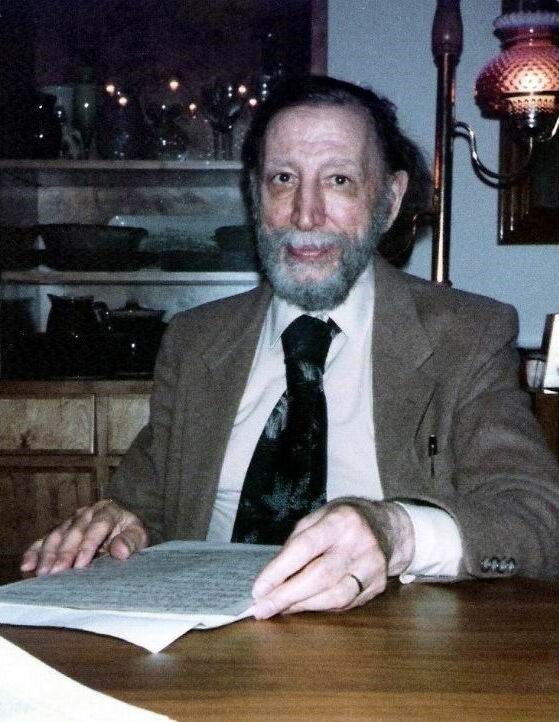 Much later, my decision to catalogue the works of the immensely prolific American composer, Alan Hovhaness, led to a correspondence that lasted many years and, in 1983, to two weeks staying with him and his wife, Hinako. While in Seattle, as well as recording a 70 minute interview with Alan, I took a number of photographs. Here is a portrait I took one evening. It was an enormous privilege to be invited into their home. Alan was delighted that I was cataloguing his music because there was so much of it. 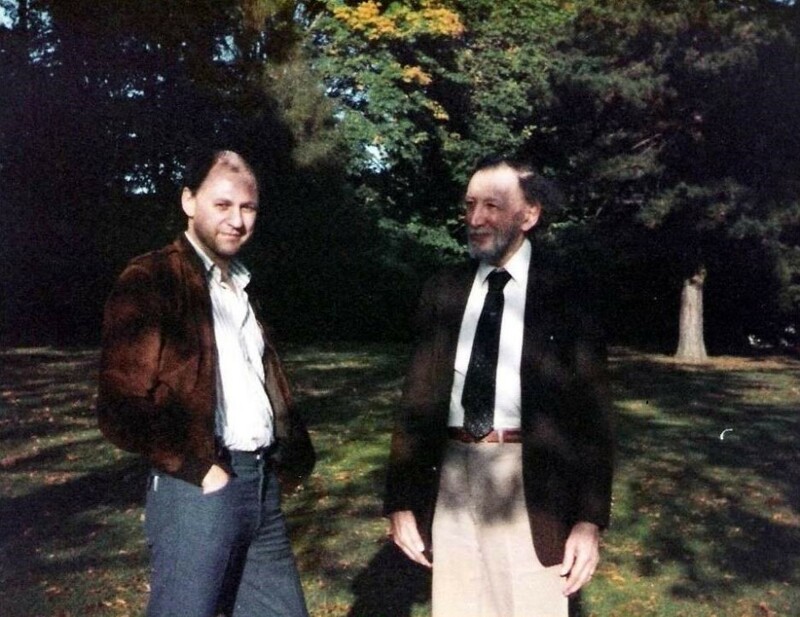 He told me that his friend, the conductor Leopold Stokowski, had often said to him how necessary it was to make a list of his works, otherwise, when Alan died, no one would know what there was and many works could have been lost. It was because I valued Alan’s music so much that I decided to catalogue it. As mentioned in part two of Strange Tales in Fiction and Fact, for reasons I couldn’t explain at the time, I always had a great affinity with Prague. 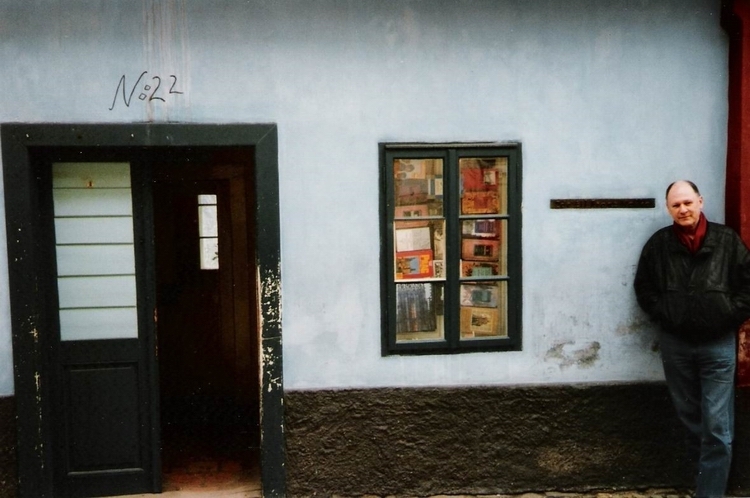 It wasn’t until April 1996 that I finally went there and stood outside Kafka’s house. I had read Kafka in translation and, like many others, was both fascinated and horrified by his nightmare world, which echoed reality in so many ways.